Even though we saw some snow here in NYC today, Winter has not officially entered yet. Today I'm giving you some Fall beauty tricks and techniques to help you stay fresh and trendy through the day. I will start with trend #1 A Bold Lip. 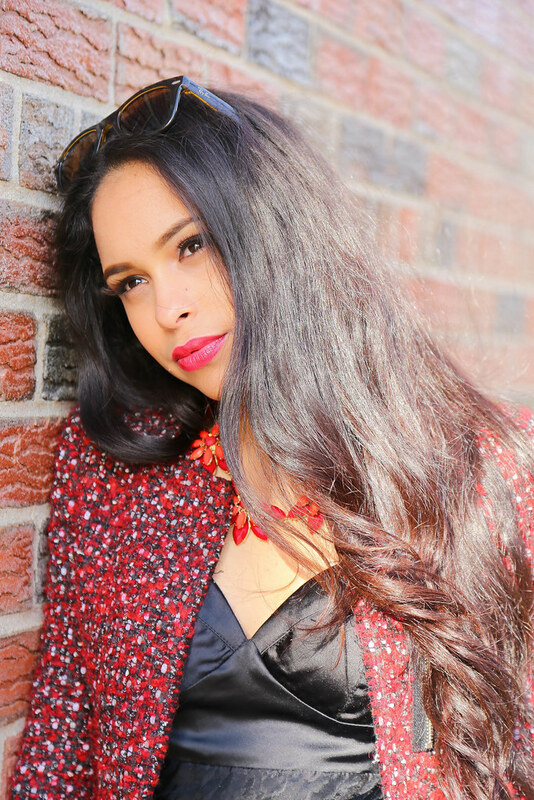 We all love a bold lip ones in awhile and specially during the Holidays. This season Target's NP Set of Lipstick Brights ($12 each) can help you achieve a deep, bold lip color that isn't quite vampy or classic red but more youthful and sophisticated berry pout. 2. Line lips first and last when working with dark shades. 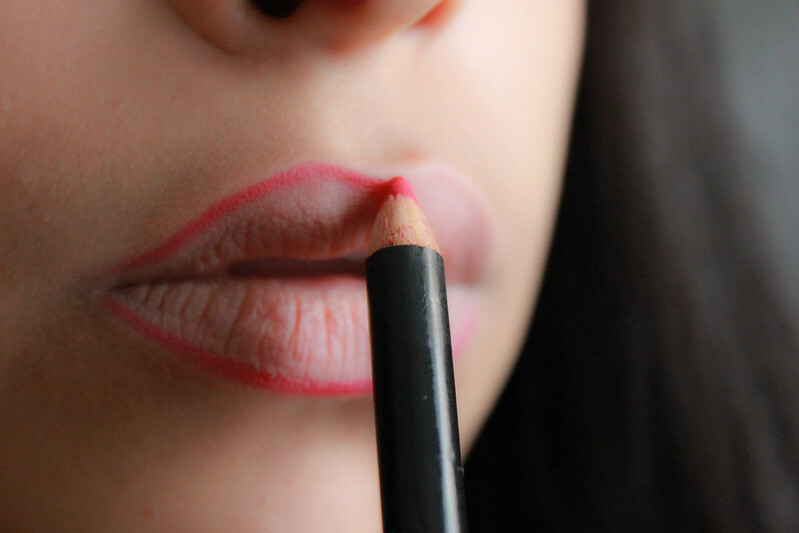 By lining the lips first, you establish the boundaries before saturating them with the intense color. 3. Dark colors can make the lips appear smaller, so for those women who want to remain on-trend without losing the voluptuous pout, simply dap some gloss on the center of the bottom lip to reflect light and give the appearance of fuller lips. 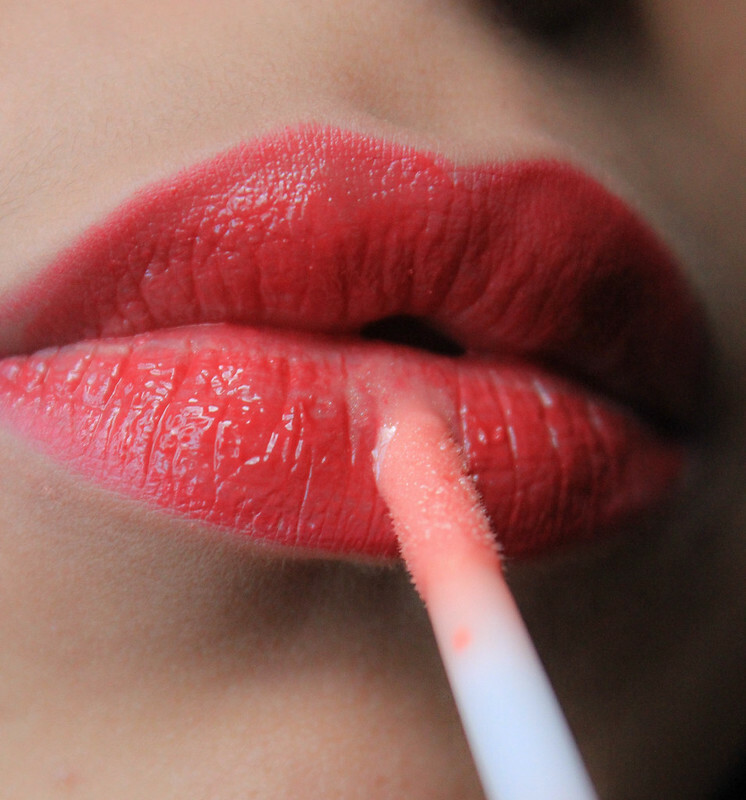 I lined my lips with NYX lipliner in the color Plush Red. 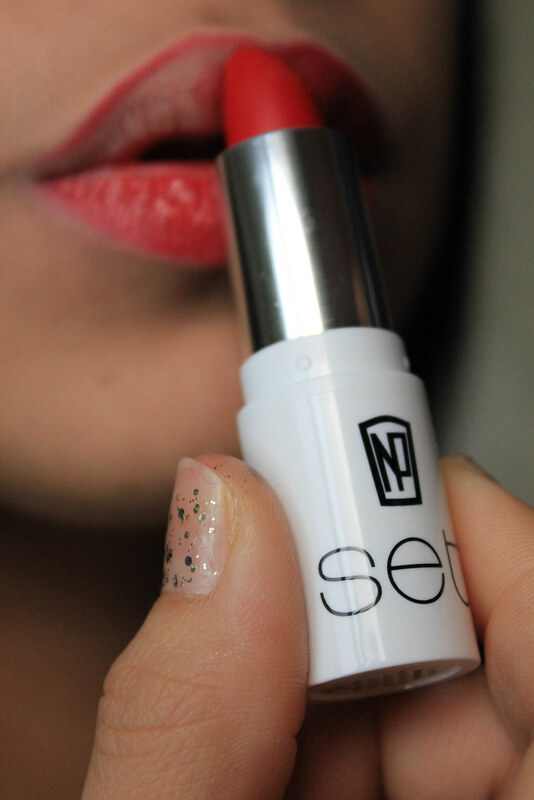 Here I'm using NP Lipstick Set in the color Marseilles. 1. Primer really is the essential component in creating a perfect complexion. 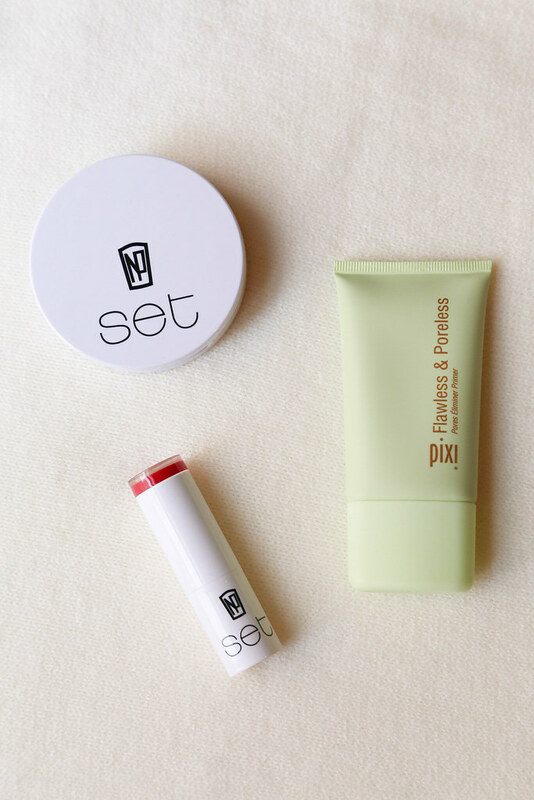 For that healthy glow, use Pixi Flawless & Poreless Primer ($22) helps fine lines and pores disappear while leaving your skin weightless with a cashmere finish. This is perfect for every skin complexion + it's oil free. 2. Apply foundation sparingly. Instead of applying to your entire face, only target the heart-shaped area of the face: below the forehead, around the eyes and down the chin so that it blends out to nothing and leaves no demarcations. 4. Customize your shades of concealer. Use a mix of additional flesh toned hues to correct under eye puffiness and other uneven areas. You can checkout the entire collection of NP Set here and Pixi here, online or at your nearest Target. In the coming weeks I will be sharing more beauty tricks, trends and techniques, maybe even videos? And don't forget to comment or tweet me your questions.